The Best Kids Fashion blogs from thousands of top Kids blogs for parents in our index using search and social metrics. Data will be refreshed once a week. Kids Fashion newsletter is a comprehensive summary of the day's most important blog posts and news articles from the best Kids Fashion websites on the web, and delivered to your email inbox each morning. To subscribe, simply provide us with your email address. London About Blog Smudgetikka is a Kids fashion blog specialising in designer kids fashion trends and lifestyle. Its mission is to provide interesting and informative unique content to those interested in the world of little ones. Facebook fans 3,136. Twitter followers 8,457. London, UK About Blog Junior Style brings you the best selection of designer clothing for children in one online hub. Facebook fans 5,987. Twitter followers 11,773. About Blog Created for style savvy kids and their fashion conscious parents, Poster Child Magazine is the go-to online resource for children's fashion. We aim to reinvent the way parents approach dressing their children while celebrating the uniqueness that makes every little one a Poster Child of great style. Facebook fans 5,819. Twitter followers 2,423.
new york About Blog Children’s look based on twindollicious sisters violet and kelly with fun and fashionable characters. Facebook fans 1,150,861. Twitter followers 384. About Blog A kids fashion blog featuring Harper Beckham collection. About Blog A blog on kids fashion with a passion for children's fashion authored by Janet Gray Muniz. Facebook fans 539. Twitter followers n/a. Facebook fans 157. Twitter followers 424. About Blog This is a blog about kid´s fashion, mainly about boy´s fashion. Facebook fans 1,630,083. Twitter followers 4,844. London About Blog Babyccino Kids is an online portal of the best and most stylish children's boutiques from around the world. You can also find daily tips, Children's products, Craft ideas, Recipes & More. Facebook fans 30,246. Twitter followers 7,372. India About Blog A fashion blog for kids as well as adults featuring celebrity styles, latest fashion trends, style tips, Indian designers, Indian boutiques, fashion shows, and much more. Facebook fans 5,930,559. Twitter followers 2,368. Sweden About Blog Paul & Paula is a blog about kids design & lifestyle by Peggy. Here, you will get to know about photo stories and kids fashion news and lifestyle news from all over the world. Facebook fans 9,321. Twitter followers 6,260. USA About Blog Kids wear and baby fashion blog with trendy, unique designer children's clothing. Facebook fans 33,285. Twitter followers 3,151. About Blog 33rd Republic is the premier marketplace for kids fashion. We bring you the best kids brands from around the globe. Boys, Girls, Baby Clothing, Toys and more! Your one stop location to find your kid's fashion needs. Facebook fans 8,641. Twitter followers 41,178. New York About Blog Children's design, fashion, culture and more for the stylish urban family . Facebook fans 6,130. Twitter followers 8,985. Singanallur, Coimbatore About Blog Prince N Princess is online store with the variety of dress collection for kids. We hand pick dresses from the best quality dress makers. At Prince N Princess we are trying to focus on getting best traditional and ethic dresses. Facebook fans 149,425. Twitter followers 52. Yorkshire About Blog A blog on kids fashion and style, beauty, parenting, motherhood etc. Facebook fans 1,852. Twitter followers 9,056. Facebook fans 3,629. Twitter followers 12,538. Sydney, Australia About Blog Rock your Baby offers a wide range of Edgy Baby Clothes and Kids Clothing Online. Facebook fans 49,775. Twitter followers 629. Brighton, UK About Blog Unique collection of kids clothing, footwears, fabric wall stickers for children's rooms and nursery. Facebook fans 16,933. Twitter followers 156. Paris, France About Blog LesEnfantsàParis is a blog about Kids Fashion, Kids Design and hotspots in Paris. They update you daily giving you inspiration and ideas. Facebook fans 7,268. Twitter followers 1,208. About Blog A blog on kids style, kids decor, all things baby & more! Paris, France About Blog The latest news in kids fashion and interesting links and articles from moms around the world. Find it on Yoyo Mom! Facebook fans 5,651. Twitter followers 4,017. About Blog Blog about children's fashion, design, lifestyle. This blog is made to gather inspirational kids wear, kids furniture, kids books, kids design brands etc. Facebook fans 4,992. Twitter followers 34. TX About Blog The Cuteness, is a blog on kids stylish, well-made clothing for tiny adventurers. Facebook fans 6,380. Twitter followers 1,451. Berkshire About Blog This blog includes toddler fashion, family activities, interiors, upcycling, crafts, lifestyle from Sabrina. Facebook fans 905. Twitter followers 3,033. Kelowna, British Columbia About Blog Ethical and sustainable clothing/items for kids. We support and blog. Facebook fans 90. Twitter followers 287. About Blog Fashion Adventures by Little Miss Peggy P & Master BlueBerry. Brooklyn About Blog Celebrating the unique style of the freshest kids on the planet. Fresh Kid Nation is a website dedicated to current children’s fashion, style trends and news about the children’s fashion industry. I realized there is a shortage of web content that showcased modern children’s wear or celebrated the burgeoning style of fashionable babies, toddlers, tweens and teens. Facebook fans n/a. Twitter followers 375. Tallinn, Estonia About Blog Lucine Blog is a kidswear blog by Lucine Ayanian expressing an independent opinion on any fashion-related topic. Facebook fans 3,510. Twitter followers 121. Melbourne, Australia About Blog Dansk Kids is a blog on european style kids clothing and childrens wear. Ethically made, stylish and durable. Facebook fans 1,145. Twitter followers 31. Global About Blog Isossy Children is a celebration of colour, vivacity, global influences and fashion. It offers children and parents choice, style and design. Facebook fans 2,448. Twitter followers 2,266. London, England About Blog Suzanne Peters is a kids' style guru, known for identifying hot trends and spotting the latest and greatest things to style up the lives of kids. Facebook fans 2,782. Twitter followers 7,240. Facebook fans 2,923. Twitter followers n/a. Facebook fans 1,263. Twitter followers n/a. Berlin About Blog Yumalove, a blog on kids fashion and exclusive kids sneaker collection. Notting Hill, London About Blog A family lifestyle blog with different and odd kids fashion trends. The Ultimate Mother's Blog and Guide to Life, London and Beyond. Facebook fans 135. Twitter followers 790. India About Blog Stylemylo, the ultimate shopping hub for the latest and greatest designs in chic children’s fashion. Facebook fans 46,882. Twitter followers 261. Sweden About Blog This blog is all about kids, trends in kids interior, fashion, toys etc. Facebook fans 5,976. Twitter followers 384. About Blog Redtag is a fashion & lifestyle blog for all the kids latest trends and styles for every season. Facebook fans 1,330,587. Twitter followers 22,470. New York City About Blog Estella is a luxury baby and children's brand that designs, retails, and wholesales baby toys, clothes, and accessories. Facebook fans 10,734. Twitter followers 2,018. About Blog In Ana Giovanna Blog you find everything about children's party dresses and birthday clothes for girls. Family, Children, Fashion and More. Facebook fans 1,131,517. Twitter followers 108. About Blog Kid Magazine is a free online lifestyle magazine for kids and mums with style. Facebook fans n/a. Twitter followers 3,026. Australia About Blog Kids Fashion Blogger (KFB) is the online destination for on trend girls fashion created by Sandi Zaljevic.KFB is a creatively curated blog and its complementing social media channels are a beautiful, yet fun and sometimes quirky interpretation of current day children's fashion, from everyday labels to aspirational luxury brands. Facebook fans 10,098. Twitter followers 15. Boston About Blog Follow La Petite Peach as we playfully curate childhood! Discover hand-picked kids, baby & maternity style on our French-inspired fashion blog. Facebook fans 4,642. Twitter followers 3,281. Southern California About Blog Row and Low, a blog on trendy children's clothing, fashion and accessories. Facebook fans 2. Twitter followers 8. About - The Cuteness, is a blog on kids stylish, well-made clothing for tiny adventurers. About - Kids wear and baby fashion blog with trendy, unique designer children's clothing. About - Celebrating the unique style of the freshest kids on the planet. Fresh Kid Nation is a website dedicated to current children’s fashion, style trends and news about the children’s fashion industry. I realized there is a shortage of web content that showcased modern children’s wear or celebrated the burgeoning style of fashionable babies, toddlers, tweens and teens. About - Smudgetikka is a Kids fashion blog specialising in designer kids fashion trends and lifestyle. Its mission is to provide interesting and informative unique content to those interested in the world of little ones. About - Junior Style brings you the best selection of designer clothing for children in one online hub. About - Babyccino Kids is an online portal of the best and most stylish children's boutiques from around the world. About - A fantastic resource for children’s design, trends and culture, it aims to support creativity and talent but it also does this by talking about life, family,culture and health. About - Our goal is to create high-quality garments that are versatile, on-trend and will make your friends jealous (or at least as you where you got them)! About - Styling the Tribe is the ultimate destination for all things boys fashion and lifestyle. It’s the personal creation of founder Carla Rodan, who applies her strong sense of style and eye for fashion to her ‘tribe’, her four boys Tevita, Maikeli, Tomasi and Salesi – which is captured via this blog and her popular social media channels. About - Elves in the Wardrobe is an online organic children’s clothing store providing Australian parents with access to a range of the best European, organic kids and baby clothing. About - Dansk Kids is a blog on european style kids clothing and childrens wear. Ethically made, stylish and durable. About - Prince N Princess is online store with the variety of dress collection for kids. We hand pick dresses from the best quality dress makers. At Prince N Princess we are trying to focus on getting best traditional and ethnic dresses. 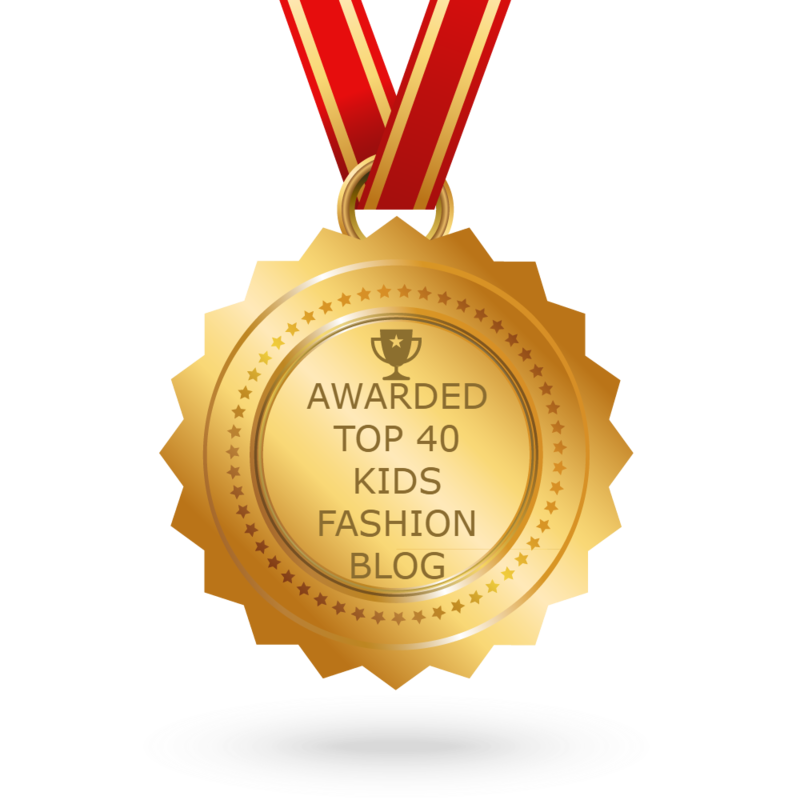 CONGRATULATIONS to every blogger that has made this Top Kids Fashion Blogs list! This is the most comprehensive list of best Kids Fashion blogs on the internet and I’m honoured to have you as part of this! I personally give you a high-five and want to thank you for your contribution to this world.